"Charlotte was a dear, sweet lady and I feel blessed to have..."
"Charlotte was a very special lady. I had the privilege to..."
Charlotte "Nana" E. Warren, 96, passed away August 1, 2016 at Ray Hickey Hospice House in Vancouver, WA, surrounded by her family. She was born November 27, 1919 in Stevenson, WA. Nana married Melvin Warren on December 2, 1939. Together, they moved to Vancouver, WA in 1946, where she worked for the State Highway Department, eventually retiring from there. Nana enjoyed many years of square dancing, camping, clamming, huckleberry picking, gardening, and travel. 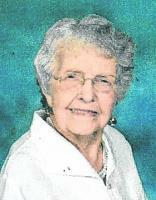 She was a long time member of the First Congregational Church where she was a Deacon and member of the Women's Circle. and remembered always in all of their hearts. Nana is survived by her oldest son, James Warren and his wife Kathy; daughter-in-law, Pam Warren; four grandchildren, Mark Warren and his wife, Elke, Bridgett Adame and her husband, Joe, Damian and Matthew Warren; and great-grandchildren, Willow Warren, Delany Warren, and Caleb Adame. She was preceded in death by her husband, Mel; and youngest son, David. There will be a memorial service and reception on Friday, August 12, 2016 at 11a.m., at the First United Methodist Church on 33rd and Main Street in Vancouver, WA. In lieu of flowers, memorial contributions, if desired, can be made to the First Congregational Memorial Fund or to the Ray Hickey Hospice House in Vancouver. Arrangements under the care of Davies Cremation and Burial Services.